Puntos Necesarios: 4150 Tenga en cuenta que, de momento, no se puede descargar contenido de nuestra plataforma directamente en un dispositivo móvil (teléfono, iPod, iPad, tabletas ...). Necesitas descargar sus artículos en un PC o Mac y, a continuación, transferirlos a su dispositivo de forma normal. Estamos trabajando para permitir que las descargas directas a los dispositivos móviles, pero esto no es posible en la versión actual de la plataforma. Perdón por las molestias! 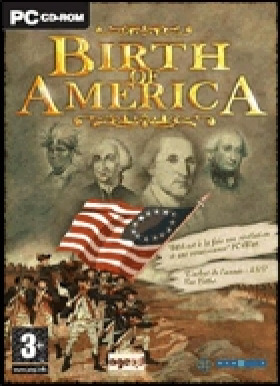 Try BOA1 at budget price!As our new game Birth of America 2: Wars in America is nearing release, we are offering a promotional offer on its predecessor, Birth of America 1. The price of that version is now 9.99 euros (or 14.99 US$). We would like that you take opportunity of this offer to get into our famous AGE strategy game engine as it was in its well-received and inovative original version. An… d if you like it as much as we hope, do not hesitate to discover our range of products!In Birth of America, the player controls one of the major contender of these 2 conflicts, trying to achieve military and political victory. It is a rather complete and detailed simulation of the two most important wars in Colonial America - from 1755 to 1783 - but with a simple and elegant new simultaneous turn-based engine.Scope of the game covers all of North America, from Florida to Quebec and New England to Mississipi, from 1755 to 1783. Game map is divided into more than 700 provinces, with a great diversity of terrain, climates and civilization levels.There are two camps fighting each other in all of the game's 10 scenarios. Game turns correspond to one month of historical time. Scenarios vary from a few months to almost 9 years. Players control mostly the military action of their nation. This includes such activities as drafting forces, building forts and depots, sieges and blockades, raiding enemy settlements and battles, both on land and at sea.REQUIREMENTSThe Wargamer: a unique and enjoyable gameBirth of America could have easily been a generic game set in 18th century North America by virtue only of graphics and text. Instead, the developer created gameplay to fit to the nuances and peculiarities of these wars, and the hard work paid off. The player’s role is limited at the strategic level, but depth of factors influencing outcomes necessitates thoughtful decisions that make Birth of America a unique and enjoyable game.Armchair General - A must for any gamer who enjoys a solid historical game (92%)BOA reaffirms the fact that a couple of guys with a great idea and hard work can still create a game that enthralls, entertains, and educates. A must for any gamer who enjoys a solid historical game which will challenge him every single time.